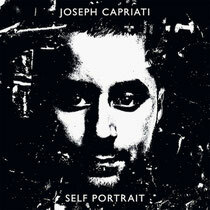 Joseph Capriati drops his second album 'Self Portrait' on Adam's Beyer's revered Drumcode imprint. The Napoli-born firebrand has just completed a season in Ibiza as a resident of Marco Carola's Music On at Amnesia. Combine this momentum with a 2013 that already saw him headline his first coast-to-coast tour of the US, play a historic 12 hour set at the Metropolis in Napoli, plus headline every major techno festival on the planet, the timing couldn't be better for Capriati. Over 11 future-facing tracks, Capriati displays his deft production skill with tracks such as 'Electrolytic', the album's atmospheric opener which evokes mood with a barrage of steely synths, gritty drums and industrial beats. 'Self Portrait', the typically reflective album title track is an understated ambient track led by warm trickles of melody that pairs nicely with 'Naked' which exhibits the producer's skills for moulding sparse stripped back minimal that kicks along with cheeky vox and shuffling percussion. He further reinforces his ability to create addictive club rollers with the quirky, squiggly groover 'Easy Come Easy Go', while 'Basic Elements', chugs along with rattling industrial percussion before giving way to a wall of melody. It’s out 25 November.